Can I send my form via email? 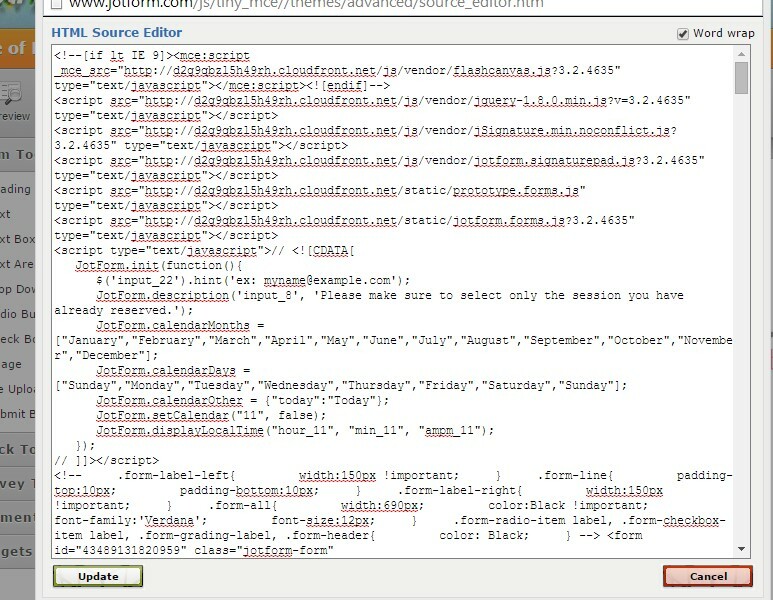 My website does not currently accept HTML forms - Can I use jotform to email clients the contract instead of using a link on my webpage? I apologize, but I don't fully understand your question. 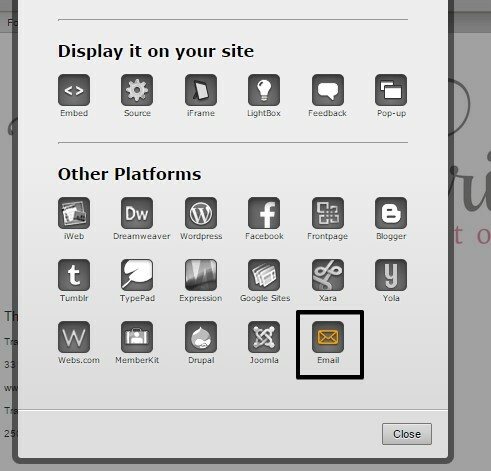 Do you want to embed your form to send it via email to your clients? 1. Get the full source code of your form. 2. Click on the Go back button and then click on the Email icon. 3. Click on the HTML icon. 4. Paste the HTML code you retrieve in step 1 and click on the Update button. 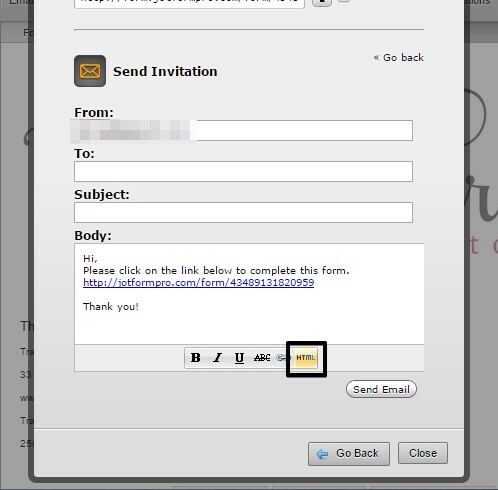 The form should be embedded in the email and you can share it with your clients. Let us know if this is what you want to accomplish.